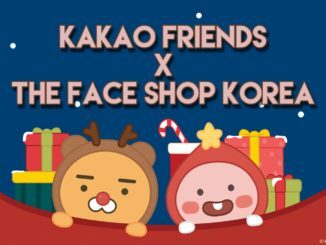 Update on 1st Feb 2019: Etude House has confirmed on this collaboration! 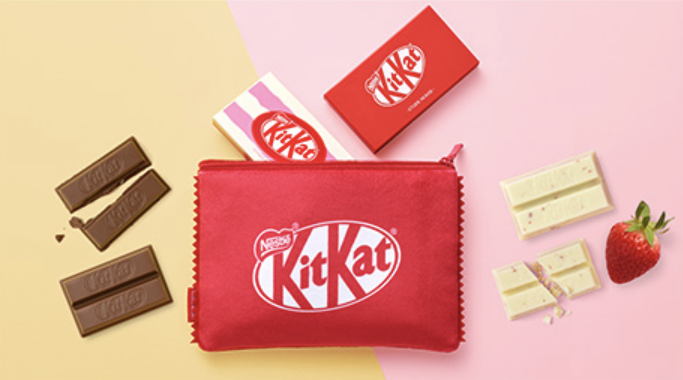 Etude House recently hinted at a brand-new collaboration with Kit Kat and we’re excited, to say the least! Though hardly any traces of it can be seen on the online malls now, news of the limited-edition eyeshadow palette were trending on the interwebs last night and people are going crazy over this collaboration. Coming in 2 different variations – Etude House Color Eye Mini Kit in Original, and Strawberry Tiramisu, each palette encases 6 different eyeshadow colors in variants of mattes, shimmers and glitters for you to create a vast array of looks. Each shadow is highly pigmented with an intense payoff, so you can effortlessly prepare a look that’s perfect for any occasion! Etude House has also ingeniously named each color in the palette after a particular component of this chocolate snack, and just like each of their names suggests, the colors are exactly what you think they are! Each set is said to cost KRW 20,000 each and it comes with a pouch that eerily resembles an actual Kit Kat bar, as well as some actual Kit Kats because seriously, why not? It is rumored to be out in the Korea retail stores from February onwards so start keeping your eyes peeled for this sweet new collaboration! UPDATE on 1st Feb: Etude House has just confirmed on this collaboration and it’s available for sale in Korea retail stores starting today!